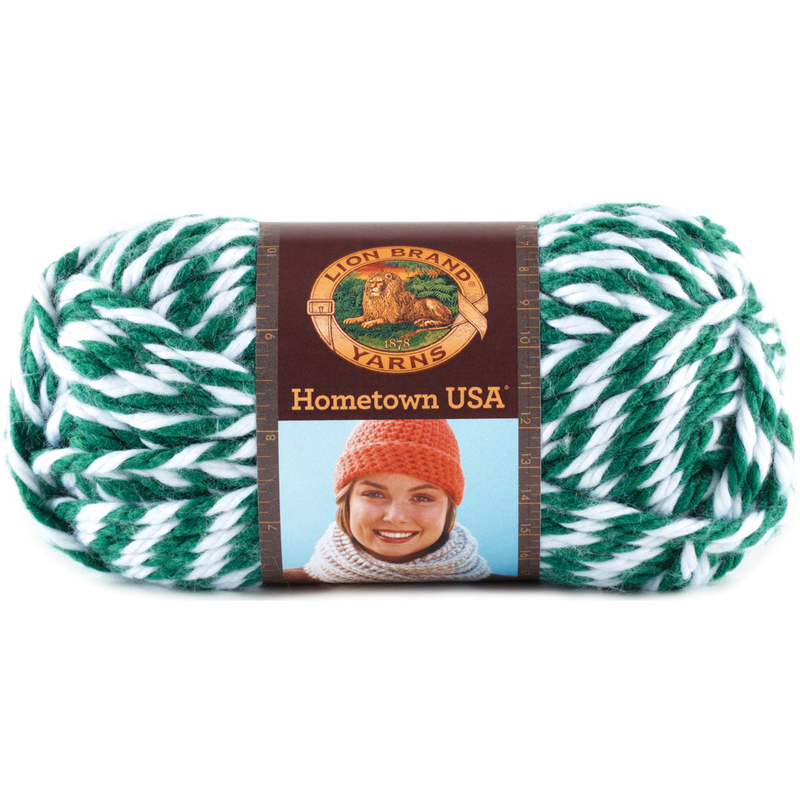 LION BRAND-Hometown USA Yarn. This chunky yarn is perfect for knitting, crochet, and crafting. Make projects quickly with this bulky, easy care yarn. Weight category: 6. Solids: 100% acrylic, 5oz/142g, 81yd/74m. Multi-Colored: 100% acrylic, 4oz/113g, 64yd/59m. Tweeds: 94% Acrylic/6% Rayon, 4oz/113g, 64yd/59m. Gauge: knit: 9st x 12r = 4in/10cm on size 13/9mm needles, crochet: 6.6sc x 8r = 4in/10cm on size N13/9mm hook. Dyelotted: we try but are not always able to match dyelots. Care: machine wash cold (max.temp. 86F/30C), tumble dry, do not bleach, do not iron, dry cleanable. Made in USA.